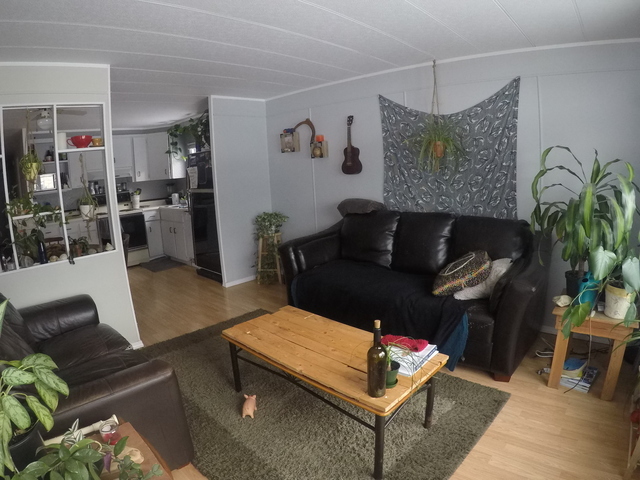 room for rent in my 3 bedrooms mobile home in glacier height. 600$ all inculded and room furnished if wanted,You will share the house just with me and my 6 years old dog. I am looking for a full time worker,no pet, no couple and definitely not a party house. Just a place to call home and relax­. From end april till mid november ill be working full time monday to friday from about 5 till 5. Need someone quiet during the week or someone who also have a big schedule.pm me for more info or pic.